With these tips, you can avoid making the most common mistakes in Spanish. Learning a foreign language is more difficult for some than for others. Our tendency is to attempt to literally translate what we want to say from one language to the other. The problem you run into when you do that is that you sound like a digital translator when you speak. Although these errors are often funny, they can also cause confusion. 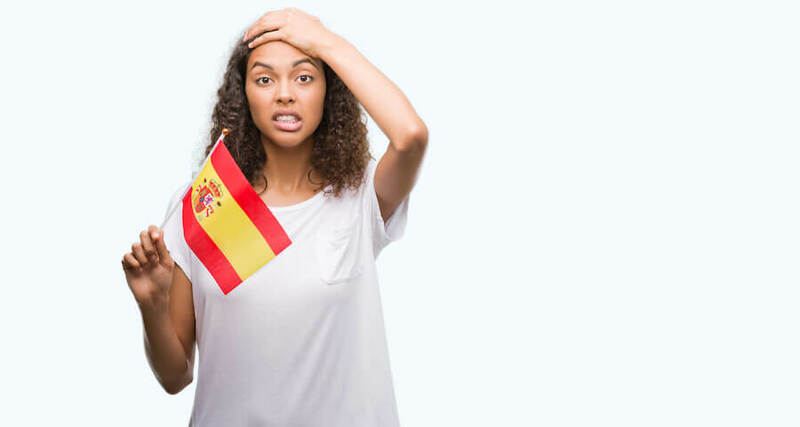 We have compiled some of the most common mistakes that English speakers make when learning to use Spanish in order to help you avoid embarrassment. The first case, using ser, means, “I am boring.” That is a permanent state and an unchangeable characteristic of your personality. However, in the second case, you are truly saying what you want to say, which is, “I am bored.” This describes the feeling or state that you are in at a particular moment. Hay muchos libros en la biblioteca = There are many books in the library. Hay un libro encima de la mesa = There is a book on the table. Hay que lavar todos los platos después de cenar = We must wash all the dishes after dinner. Though this is the most common usage in Spanish, you must keep in mind that there are some instances where the adjective does appear in front of the noun, even in Spanish. There is another odd case involving article and noun gender agreement that you need to watch out for. “El agua” doesn’t fit the “a” ending “o” ending rule, but it also doesn’t follow the gender agreement rule. “Agua” is a feminine noun, but a masculine article appears in front of it because the stress of the word “agua” falls on the first syllable. ending with “-e”: “el bote”, “la clase”. Nouns that end with “-ción” like “canción” (song) is feminine. The capitalization rules drilled into the minds of English speakers become a murderous nightmare when English speakers are learning Spanish. There is no way to make this easier on yourself except to memorize and follow the Spanish capitalization rules when using Spanish. As a general rule, in Spanish, in a sentence, even a title, you only capitalize the first word. Here are more specific rules. “One or another” = Uno u otro (you will not use “o” because the coming word “otro” starts with “o” so you are repeating a letter and it doesn´t sound ok). “Le” means “to him”, like “me” means “to me”, “te” means “to you” (singular), and “les” means “to you” (plural). These are used with reflexive verbs. In grammar, a reflexive verb is a verb whose direct object is the same as its subject, for example, “I wash myself”. I wash myself = Yo “me” lavo. Por and para are always confusing and they take a lot of practice to get their proper usage down. In Spanish, both “por” and “para” take on the responsibilities of not only “for”, but also by, on, through, because of, in exchange for, in order to, and several other prepositions and phrases. Por is used to talk about movement, modes and means of travel and communication, exchanges, duration, and motivation, among other things. Para is used to talk about destinations, recipients, deadlines, and goals. I contacted her by mail. Trabajo por ti, porque te quiero cuidar. I work for you, because I want to take care of you. ¿Quieres pasar por el parque? Do you want to go through the park? Este regalo es para Adela. This gift is for Adela. Necesito la presentación para el viernes. I need the presentation by Friday. Corro para mantenerme en forma. I run to stay in shape. Crear (to create) and creer (to believe). Sentir (to feel) and sentar (to sit). How do you know how to use them or how they are being used? It depends upon the context in which they are being used. When learning a language, it is important to avoid literally translating word for word from one language to another wholesale, as we have just demonstrated. Understanding these common errors which English speakers make when they are learning to use Spanish can help you to avoid embarrassing or confusing situations. In addition, knowing that literally translation from one language to another is an issue, perhaps you will be a bit more sensitive as to why some foreigners learning English say funny or confusing things too.